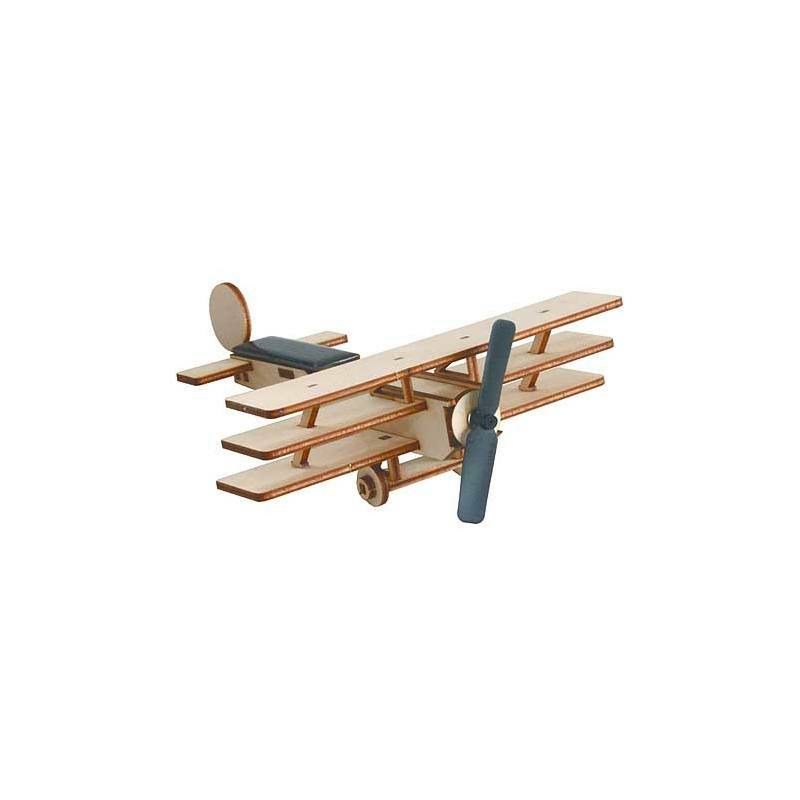 This exact model of a triplane combines elegance of flying and the latest solar technology. The wooden parts are precision laser-cut birch plywood and are easy to assemble. The propeller begins to rotate when sufficient light hits the solar cell. Choking Hazard?Small Parts. Not suitable for children under 3.